Wayne Homes achieved the Best Interior Merchandising of a Model award at the Building Industry Association of Central Ohio Big Night Awards gala last week. Uniontown, OH – Wayne Homes, an Ohio-based custom home builder that specializes in custom on-your-lot homes, won the Best Interior Merchandising of a Model award for the Delaware Cedar Hill Homestead model at the Building Industry Association (BIA) of Central Ohio BIG Night Awards gala. The winners of the BIA of Central Ohio 2019 marketing and merchandising awards were announced at a banquet last Friday, April 5 in Columbus, Ohio. Team members from the Delaware and Newark model centers attended the event. The Cedar Hill model is a four-bedroom, two-story floor plan with just over 2,600 square feet of living space. The model features an open living space with a two-story stone and shiplap fireplace in the great room, an eat-in kitchen, a spacious, first-floor master suite, a large owner’s entry and laundry room, and a private den. The home was decorated and merchandised by Jennifer Pruett, Senior Interior Designer and Project Manager, from Mandil, Inc. in Denver, Colorado to feature current popular design styles that are on trend for today’s new home buyer. “Our concept for the Cedar Hill model was to keep the overall feel light and fresh, implementing warm tones, graphic patterns, and an eclectic mix of natural materials,” Pruett said. “Along with the finishes we used in the model, we also took into consideration the mix of furniture pieces. We utilized pieces from many eras – mid-century-modern to colonial – creating a collected ensemble that doesn’t feel all brand new or matched. Wayne Homes celebrated the grand opening of the Cedar Hill Homestead last July and the model has been a customer favorite since the commencement. “All the finishing’s and décor in the model are beautiful,” Greg Holbrook, Sales Manager of the Delaware Model Center, said. “The Cedar Hill is a popular favorite here because of the open floorplan. For more information about Wayne Homes and the Cedar Hill model at the Delaware Model Center, please visit WayneHomes.com. 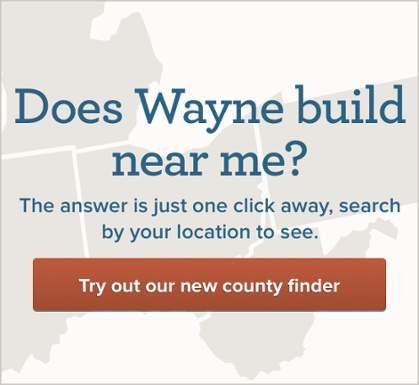 Wayne Homes is a custom home builder in Ohio, Pennsylvania, Indiana, Michigan, and West Virginia (see all Model Home Centers). We offer over 50 fully customizable floor plans and a team dedicated to providing the best experience in the home building industry. For more information, Ask Julie, our online sales team, by Live Chat or call us at (866) 253-6807.